Sorry for the delay in posting this round! Last round's image was from Pig Bride, and here's the solution (by pinkoctopus)! 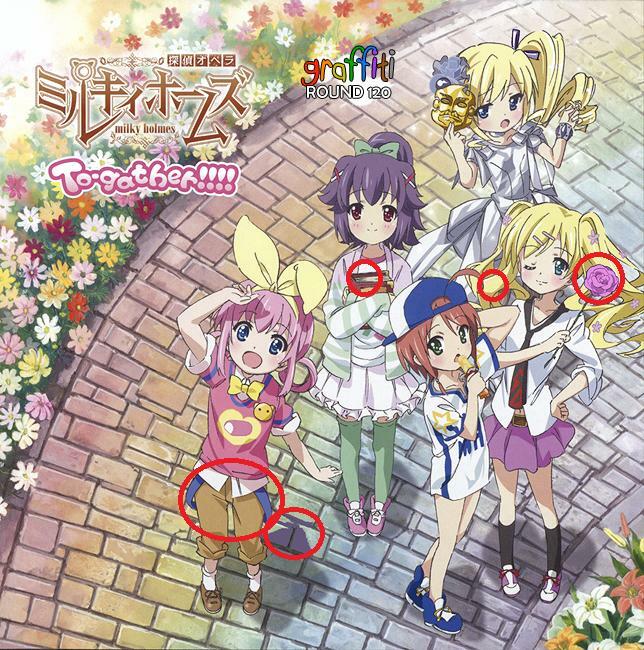 Rumor has it that someone has been going around vandalizing images. Fortunately, his work, much like his disguise, isn't fooling anyone. In total, not including any cuts/resizes made to the image as a whole or text added/removed to denote the game and round, there have been 5 (sets of) changes made to the image. You'll get 2 random cards for each change you find, for a total of 10 random cards. Answers can be submitted in text or image form (a description of the changes and/or the image with changes circled). This round will close on Thursday, May 4. 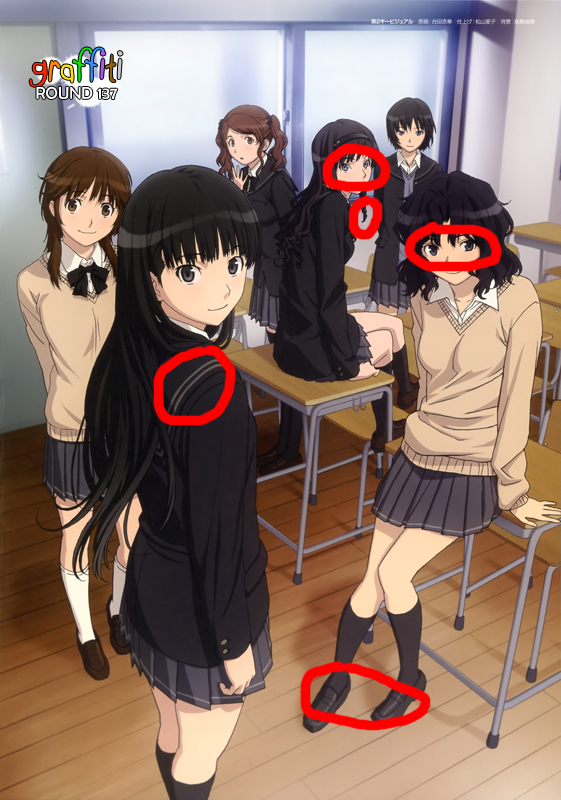 Last round's image was from Amagami SS, and here's the solution (by needles)! This round will close on Thursday, April 20. 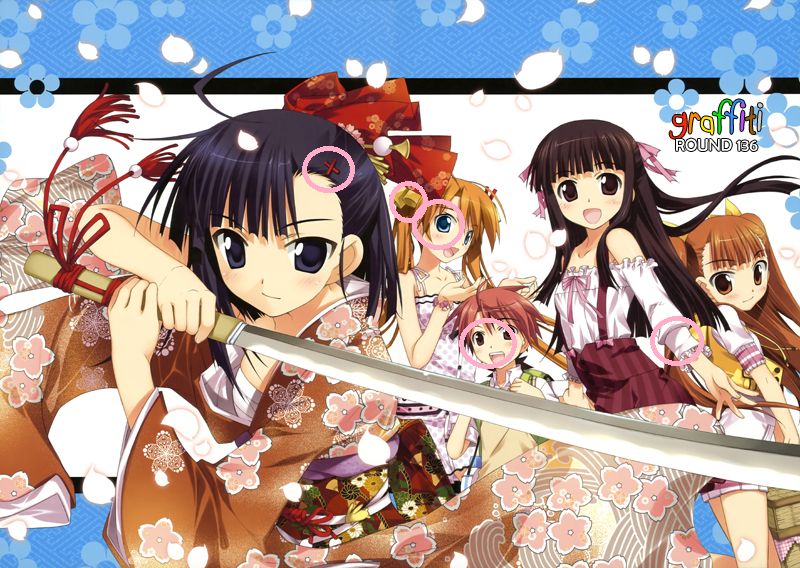 Last round's image was from Mahou Sensei Negima, and here's the solution (by pinkoctopus)! This round will close on Thursday, April 6. 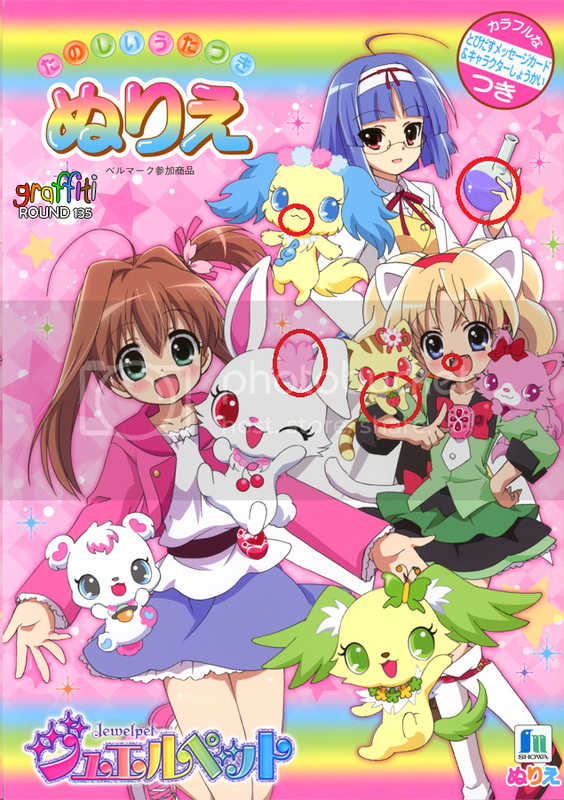 Last round's image was from Jewelpet, and here's the solution (by tiddly_widdly)! This round will close on Thursday, March 23. 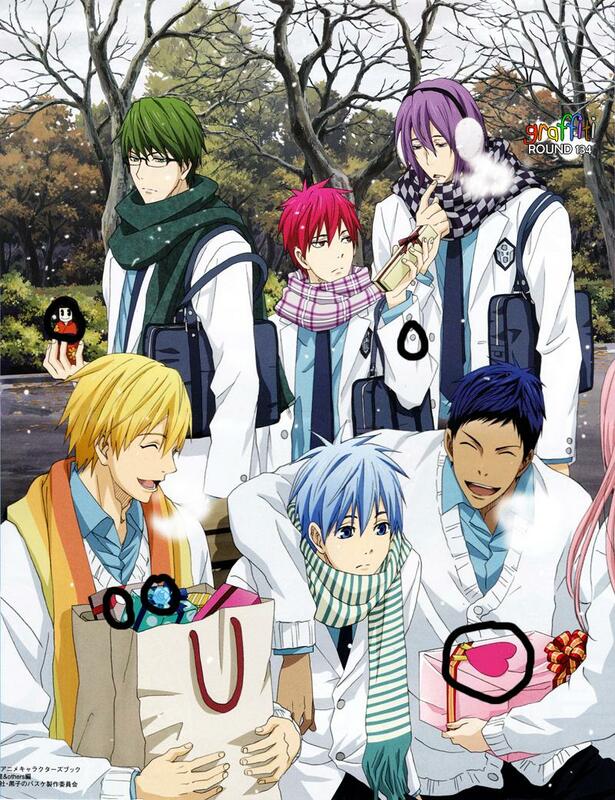 Last round's image was from Kuroko no Basuke, and here's the solution (by needles)! This round will close on Thursday, March 9. 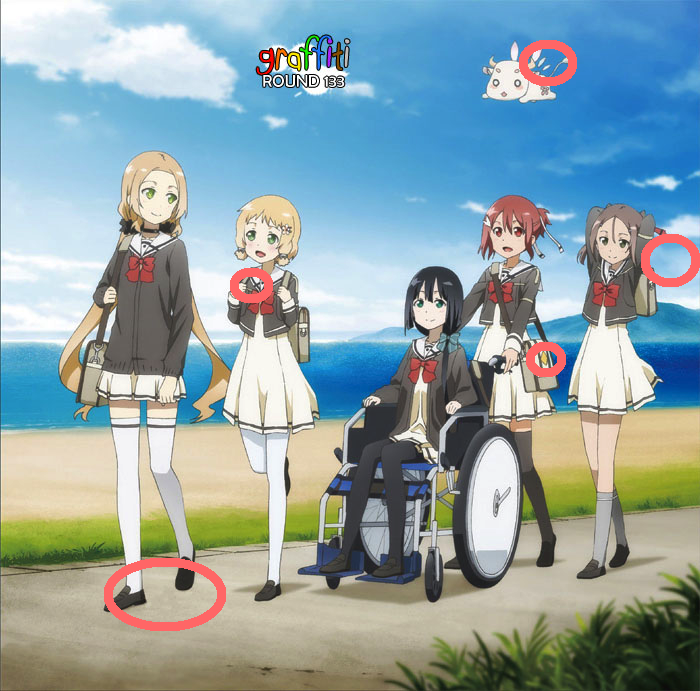 Last round's image was from Yuki Yuna is a Hero, and here's the solution (by pinkoctopus)! This round will close on Thursday, February 23. 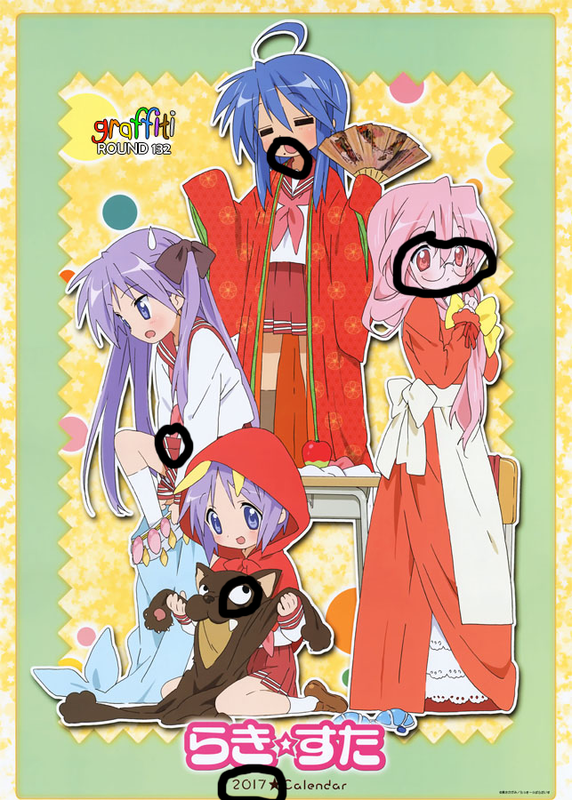 Last round's image was from Lucky Star, and here's the solution (by needles)! This round will close on Thursday, February 9. 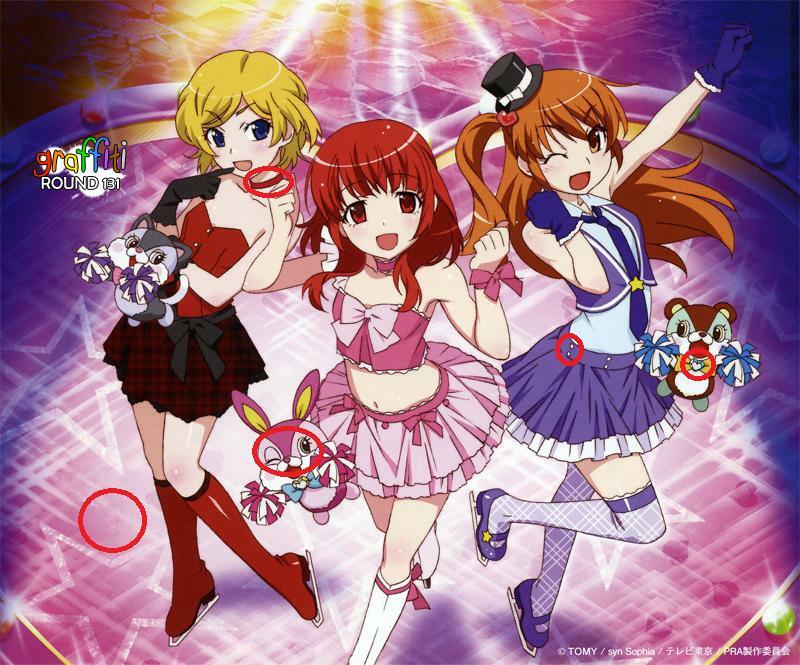 Last round's image was from Pretty Rhythm: Aurora Dream, and here's the solution (by buttmage)! This round will close on Thursday, January 26. In total, not including any cuts/resizes made to the image as a whole or text added/removed to denote the game and round, there have been 5 (sets of) changes made to the image. You'll get 2 random cards for each change you find, for a total of 10 random cards, as well as 2 candies no matter how many answers you get right. Answers can be submitted in text or image form (a description of the changes and/or the image with changes circled). This round will close on Thursday, January 12. Sorry for missing last round! All prizes from this round will be doubled. 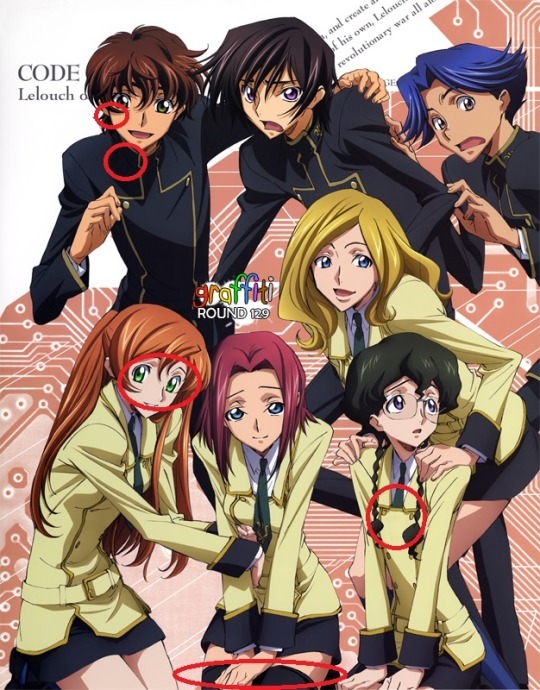 Last round's image was from Code Geass, and here's the solution (by byakkun)! In total, not including any cuts/resizes made to the image as a whole or text added/removed to denote the game and round, there have been 5 (sets of) changes made to the image. You'll get 4 random cards for each change you find, for a total of 20 random cards. 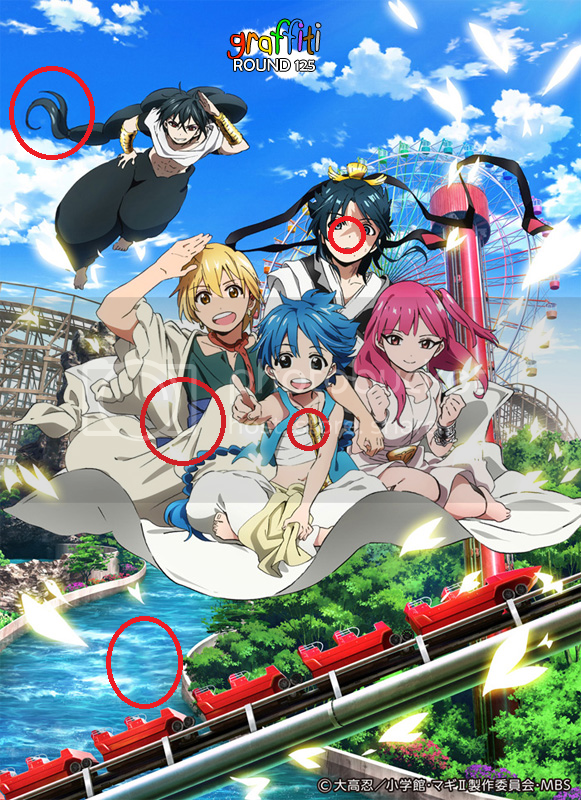 Answers can be submitted in text or image form (a description of the changes and/or the image with changes circled). This round will close on Thursday, December 29. 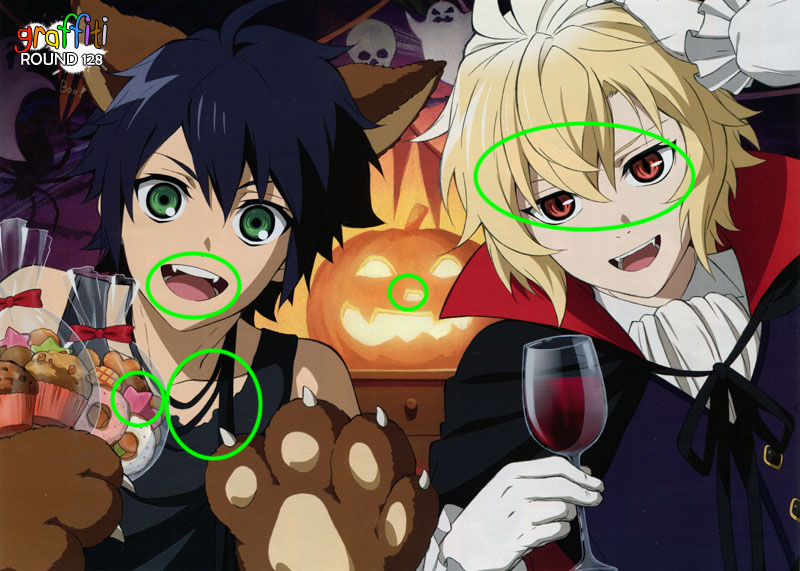 Last round's image was from Owari no Seraph, and here's the solution (by jessu)! This round will close on Thursday, December 1. 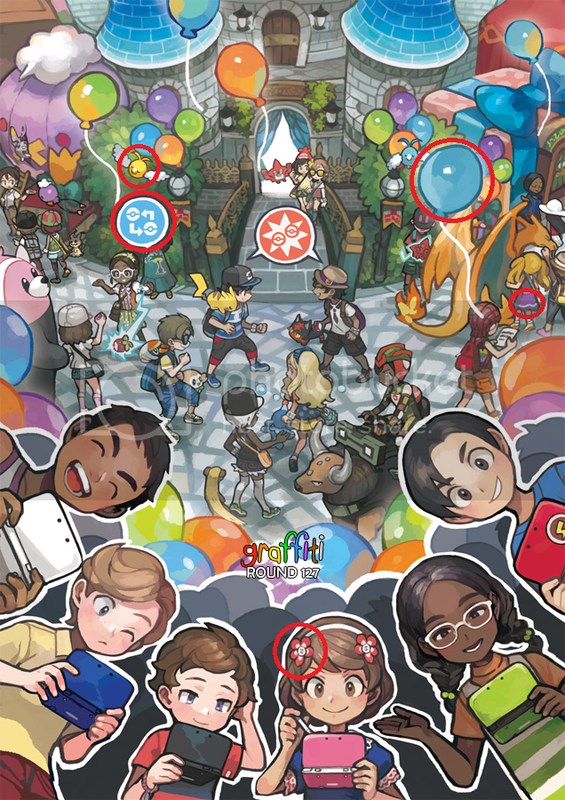 Last round's image was from Pokémon Sun and Moon, and here's the solution (by tiddly_widdly)! This round will close on Thursday, November 17. Hey everyone! Due to me being sick and gross rn, I'm going to skip posting Graffiti and Grazy Colors this week. The next round of Crazy Colors will be posted on Thursday, October 27, and the next round of Graffiti will be posted on Thursday, November 3. The current rounds will remain open until those dates and will receive double rewards to make up for it. I'm sorry for the inconvenience. Last round's image was from Ar:piel Online, and here's the solution (by kurieta)! This round will close on Thursday, October 20 Thursday, November 3. 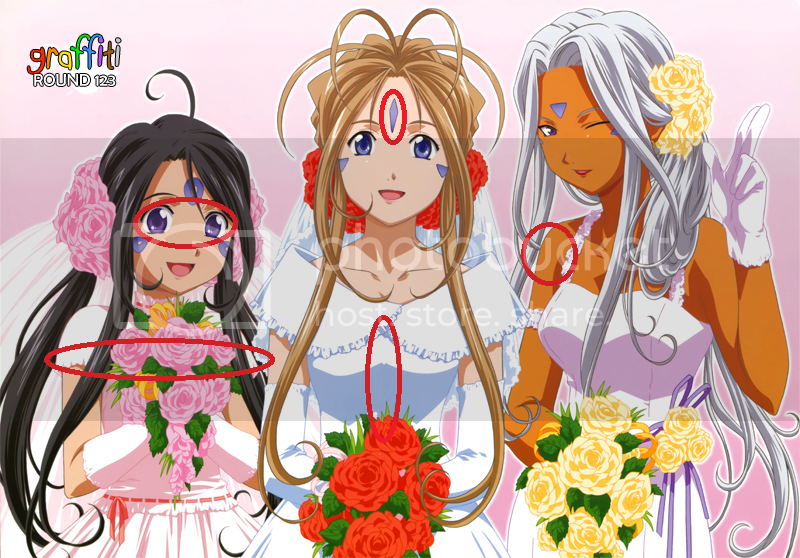 Last round's image was from Magi: The Labyrinth of Magic, and here's the solution (by tiddly_widdly)! This round will close on Thursday, October 6. Last round's image was from So Cute It Hurts, and here's the solution (by egi)! This round will close on Thursday, September 22. 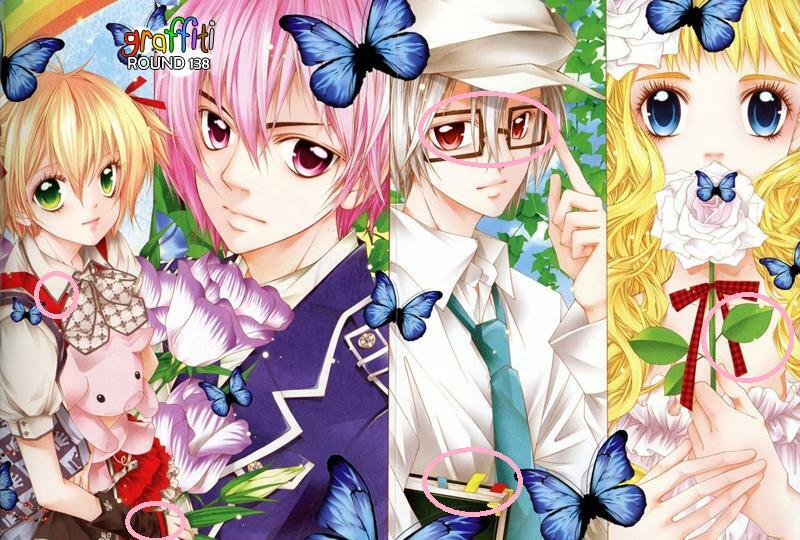 Last round's image was from Oh My Goddess, and here's the solution (by tiddly_widdly)! This round will close on Thursday, September 8. 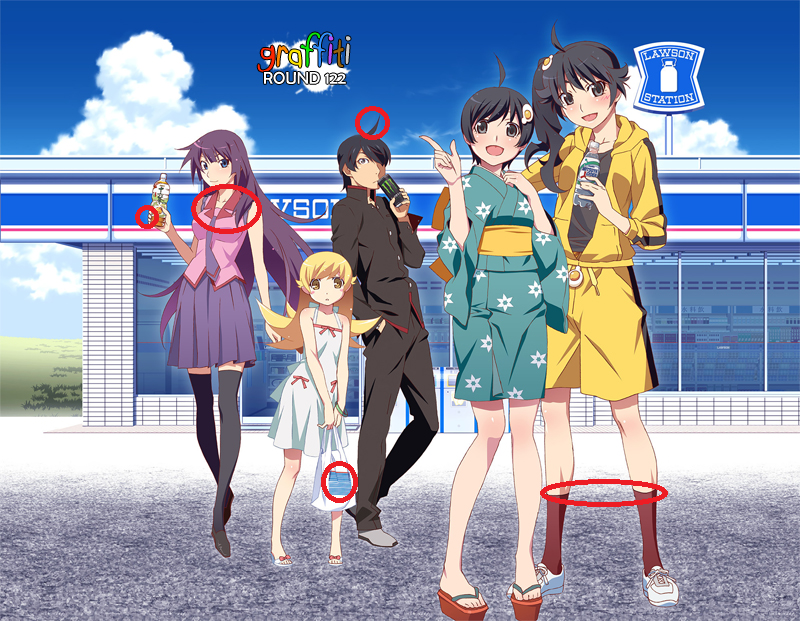 Last round's image was from Monogatari, and here's the solution (by buttmage)! This round will close on Thursday, August 25. 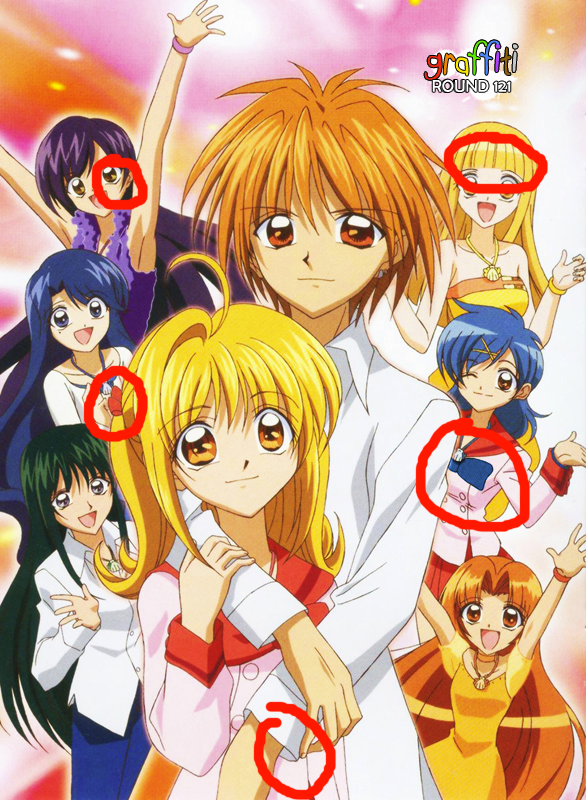 Last round's image was from Mermaid Melody Pichi Pichi Pitch, and here's the solution (by neverbepractical)! This round will close on Thursday, August 11. This round will close on Thursday, July 28.